Enjoy our clearance items on affordable prices and great quality. This women white counter coat by Red Kap Uniforms is styled in a classic notched lapel collar, long set-in sleeves and four-button front for closure. 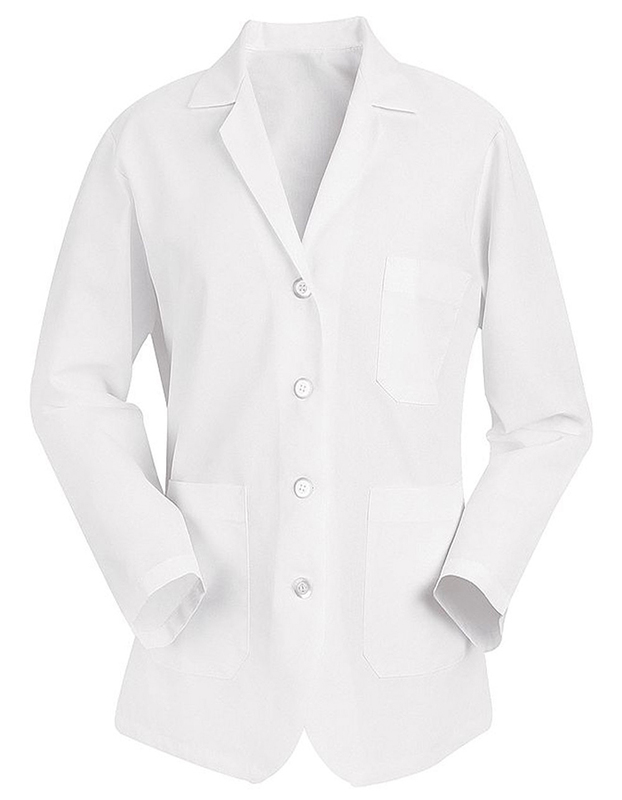 It's blazer styling, rounded fronts and princess seams at the back for added shaping complete the look of this lab coat. Left chest pocket with bartacked pencil stall and two lower pockets are provided for storage of your hand tools and other personal items. The material used is polyester and cotton blend. Its length is 28 inches.